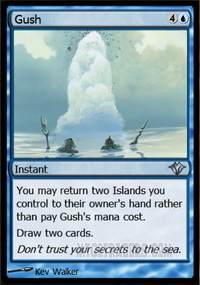 SJ: When / How did you first get into Pauper? D: I don't remember a hard date, but I know it was around 2006 when I first discovered Pauper online. I was researching white weenie for some standard tourney and found the player "someoldguy" had a white weenie list that I immediately liked and realized I could just jump right in and start competing with it. Little did I know I'd soon be 'some old guy' that couldn't get enough of this outstanding format. SJ: What was your first Pauper deck? 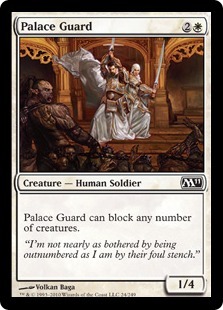 D: My first deck if memory serves me, was a White weenie list that used Palace Guard s, Benevolent Bodyguard s and some other 'Protection from' tech. 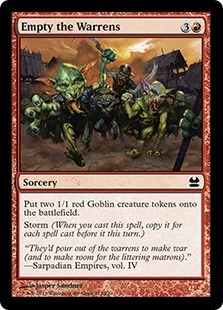 It was janky, but it worked, much to the hatred of many goblin and Empty the Warrens players out there at the time. I take delight in looking at the top decks and finding out ways to throw a big, rusty wrench into their gears. Brewing for pauper reminds me a lot of painting. Not to sound like Bob Ross, but the canvas is almost limitless in Pauper. SJ: You were one of the most successful early Pauper players. Tell me about the deck that first found success. D: I'll never forget being teased at playing mono Green. At the time, that seemed ludicrous, but the tempo and critter evasion was there. So me and the players 'aclog' and 'gwheiss' kept at it, all of our builds were very different. Eventually Stompy slowly became a thing in pauper. 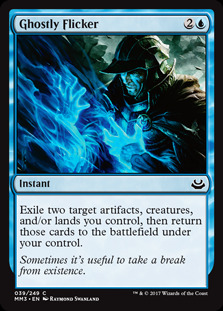 It came to existence in pauper due to players like us experimenting constantly. Create, innovate, then start again. Odds are you missed something, and even if you didn't, it sure is fun to discover why or why not. Don't take yourself so seriously, have fun! SJ: What were the early days of Pauper like, back when it was only on MTGO? D: Pauper was BRUTAL back then. You'd often lose on turn 2, and I do mean "OFTEN." 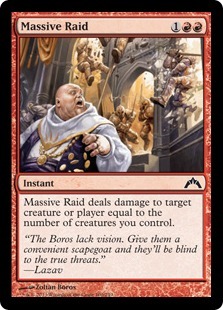 Sideboards were mostly 4,4,4,3 for the sheer reason of speed and needing that hate card NOW. I remember thinking all week about the weekend tournament. Unlike now, you couldn't just jump online and get into a league game whenever was convenient. It was a lot like the weekend challenges are now, but that was all there was regarding competition. So when you lost, it stung, and you'd think about it all week till the next one. I quickly noticed that 'being the problem' (a phrase I'm fond of saying) was the key to success since there were simply too many strategies to combat from a defensive mindset. SJ: I absolutely loved your recorded video content where you featured deck primers of some of your best brews. Tell us how your focus shifted from merely winning to innovating? D: I guess I was just after something new. The MTGO player 'litofeit' taught me magic back in 1994. And we kept wanting to do something new that focused on Pauper, something much bigger than an article. With my editing/producing background, once we coined the name "PAUPERGANDA", the rest just fell into place. Our goal was true community: we wanted to push the production value so ridiculously high, that other formats had to notice. I was also tired of answering the same questions multiple times about decks, and doing primer videos helped tie up lose ends as well as answer multiple questions in one video. SJ: You are known for some pet cards. Faerie Macabre comes to mind, as does Prismatic Strands . 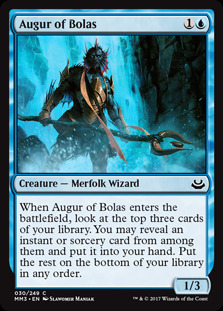 Give us your hot take of the best card seeing zero play in Pauper. D: Great question. I'll have to give each color some love. 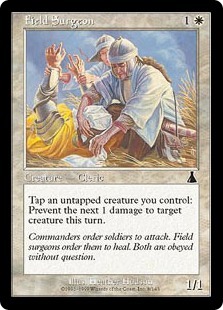 For White, I think Field Surgeon hasn't been realized in the right deck. 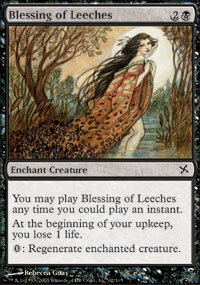 For Black, I'd say Blessing of Leeches . 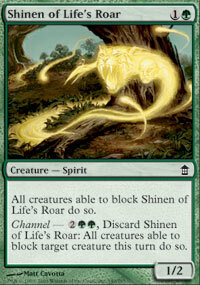 Green I'd say Shinen of Life's Roar . In Red I like Massive Raid . For Blue. Looter Il-Kor or Curfew . SJ: Your interest in Pauper has morphed from being merely a player ,to an innovator, and now you're quite invested as a content creator, even hosting your own Twitch show, "Pauperganda". 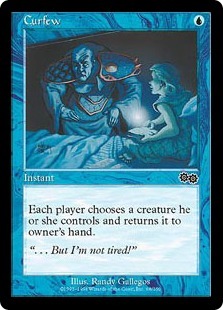 What's it like being a content creator in the current MTG climate? D:Honestly it is a mixed bag. When litofeit and I started this adventure, it was a full-blown spoof/comedy show about us on an imaginary ship: The S.S.Metagame! The episodic focus was way too new/weird for most, so we rolled it into our weekly Twitch show. Our main thing is our MTG spoofs: commercials like "Flametongue Hot Sauce" get big laughs from people even outside of pauper, and hopefully it steers them back to our format. I'd be lying if I said it was all fun and games. 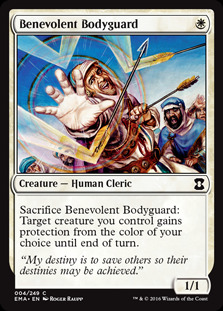 It takes a tremendous amount of work to have our own commercials and hybrid-spoofs framed within an MTG construct. Personally, I focus on rogue a lot...and with rogue comes a lot of crashing and burning. The competitor in me wants to win, but he mostly takes a back-seat to the inventor side of me. Additionally, we fail on a live feed, a very normal occurrence, I hope it serves as an example for those who may be too fearful of public scrutiny to try themselves. Every weekend you can see a great pilot of a tier 1 deck do poorly. It happens. It happens a lot if you're trying something new. But as a content creator, you can really get stuck quickly. Imagine for a minute if every single PAUPERGANDA show was about Stompy. Seriously - think about it. It'd be awful. After 2-3 shows, you'd have seen/done it all. So often I either create or update rogue/weird builds just to keep the content fresh, even if its my own visage getting thrown to the ground and trounced upon publicly! SJ: One of the most controversial subjects in Pauper is the banned list and with it the hope for a unified legality list. What do you think needs to be changed to ensure a healthy metagame? D: I really sided with Kendra Smith in her article about the ban suggestions. [Ed: Ghostly Flicker , Gush , and The Monarch.] However, I like all metagames, even broken ones as they allow you a starting point. In the creative field, the worst thing you can say to an artist is, "Do whatever you want." Art needs borders. It needs walls to push off of. You say Gush and Blue are overpowered...? Cool, now lets see if we can make a deck that abuses them for playing that. SJ: I see you as one of the players who is most invested in Pauper for the sake of promoting and growing the format beyond your own wins and losses. What can we do better as a community to spread the growth of Pauper. D: Support each other. I'm often surprised at how surprised people are when we promote them with no angle, cost or influence. Here in the USA, tribalism is rampant. There's Left vs. Right and us/them everywhere that blinds those within to seeing any points other than their own. The same thing affects many cliques in Magic circles. Let's get over ourselves and play some cards! SJ: Have you played in any paper Pauper events? Tell us of your experiences. SJ: Recently, "The Professor", of Tolarian Community College fame, was able to interview Gavin Verhey of Wizards R & D regarding Pauper. Pretend you are in his seat. What would you like to ask from Gavin? 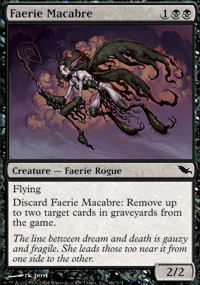 What would be your pitch to help promote Pauper to WOTC? Other than that, it's been eerily quiet. I understand we're too small to be noticed like The Professor is, but it's still frustrating for us since all we are here to do is support the game! 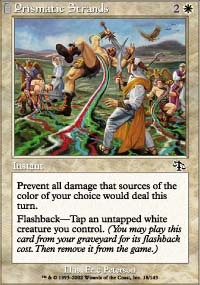 SJ: What other Pauper resources are you favorite? Any shout outs? D: On the video side - anynewprovince is a gem, great quality and energy. Written articles? I'm a big fan so far of Kendra Smith. It is wonderful to hear her insights since she's such a beast of a competitor too.